Cocludes the 3 volume series covering WWII era German Paratroopers, their uniforms and equipment. 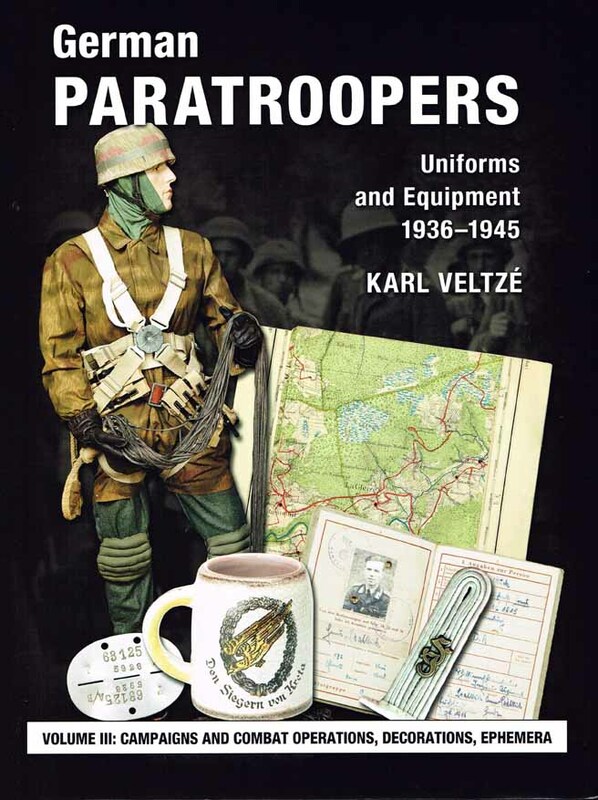 Chapters on the paratroopers of the Luftwaffe and Waffen-SS along with rare uniform items and documents. Nearly 100 pages to specific qualification and formation insignia of the airborne forces; parachutist badges, cuff bands and specific unit insignia as well as typical decorations and awards with documents. Also presents service record books (Wehrpässe), pay books (Soldbücher), and paratroopers ID discs in detail. This volume contains over 350 period photographs, of which more than 200 have never before been published. Excellent!! H/C. 367p.